If you want to study abroad you will need to obtain a student visa. Applying for a student visa can be a long process, so make sure you start preparing well in advance – at least three to five months before your course is due to start. Complete a student visa application along with recent photo(s). 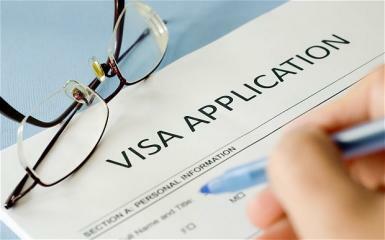 You must pay the SEVIS fee at least three days prior to submitting an application for a visa. In order to pay the fee you’ll need to file a form either online or in paper form. Both can be accessed through the Immigration and Customs Enforcement (ICE) SEVP website. Take care to ensure you input the required details exactly as they appear on your I-20 or DS-2019 form.At the time of writing the I-901 fee is US$200 for F/M visa holders and $180 for J student visa holders. J visa holders working as camp counselors, au pairs or in summer work/travel pay $35 instead. The website details procedures for different types of payment including debit or credit card, check, international money order and through Western Union Quick Pay. Having paid the fee you can return to the website to check on your payment status if desired. A third party can also pay the fee for you (such as your sponsor). If the fee is paid on your behalf you should receive a receipt from that third party.You can obtain and print a payment confirmation from the website at any time after processing your payment. You’ll need this confirmation as proof of fee payment at your student visa interview. You may also be required to show the confirmation to the customs officer at your chosen Port of Entry, if ever you change your non-immigrant status, or if you’re applying for any other immigration benefits. Once you have received your SEVIS form and paid the SEVIS fee, you can make an appointment with a consulate or embassy in your country for a student visa application. It’s best to apply as early as possible, regardless of when your program is due to start, as visa processing times can vary. Your visa can be issued up to 120 days before you’re due to enter.There are usually several steps to apply for a student visa. These steps vary at each embassy or consulate so it’s important to consult the instructions available on the embassy or consulate website where you intend to apply. In all cases you’ll need to complete the online visa application form DS-160. You’ll need to select the location from which you wish to apply and ensure you have all the documents and information you need to fill in the application. After selecting and answering a security question, you’ll be taken to the pages of the form. At the top you’ll find your Application ID. You’ll need this ID to retrieve your form if you need to exit the application and return to it later. You’ll also need to upload a suitable recent photo of yourself in the format explained in the photograph requirements. If your photo upload fails you’ll need to take a printed photograph meeting the requirements with you to your visa interview.Once everything is filled in, you’ll need to electronically sign your DS-160 by clicking the “Sign Application” button at the end of the form. After your application is uploaded you’ll be sent a confirmation page with a barcode, barcode number and your application ID number which you’ll need to print out and take with you to your visa interview appointment. You do not need to print out and take the full application. Create a user account online and follow the flow of the website, filling in details, until you arrive at the payment page. Print out your DS-160 confirmation page, your deposit slip and your visa interview appointment confirmation receipt and present these to a bank teller at an approved bank (you can find details of approved banks using your country’s embassy or consulate website).You’ll need to log into your online application profile to print and fill in the applicable visa fee deposit slip. It must have the MRV Fee Receipt Number on it. Take note of the expiration date on the slip: you’ll need to generate a new deposit slip using the website if it expires before you can get to a bank. Upon receiving your payment the bank teller will issue you a receipt which you must keep safe. As above, create a user account online and follow the flow of the website, filling in details, until you arrive at the payment page. Call the appropriate number and follow instructions on the automated voice system to pay by card over the phone. Once you have paid the fee and your transaction has been approved, you’ll be given a fee confirmation number. Make sure to note this number down as you won’t be able to retrieve it later. Again, create a user account online and follow the flow of the website, filling in details, until you arrive at the payment page. Methods of payment include electronic bank transfer and debit/credit card. Make sure to download and print the receipt when you pay online as you’ll need to take it to your visa interview.The cost of a visa application fee is determined by the type of visa for which you are applying. At the time of writing, fees for the non-petition-based F, M and J visas are US$160. The final step in getting a US student visa is to arrange and attend a visa interview. You can again do this either online or using the phone, by calling your nearest embassy or consulate. In either case, you should complete the MRV fee payment first, as you may need to give your MRV fee number.The visa application process cannot be completed until you appear for an interview with a consular officer. Don’t worry if you need to schedule your interview appointment at a different embassy or consulate than the one for which you used to apply for your visa. The barcode from your DS-160 can be used to retrieve your information in any embassy or consulate. However, be aware that it may be difficult to qualify for a visa if you apply outside your place of permanent residence.